OSAKA - A rare selection of salted herring roe — a traditional Japanese New Year’s dish said to bring good luck — has fetched a record price of more than ¥100,000 per kilogram at a wholesale market auction in the city of Osaka. The Osaka Municipal Wholesale Market handled salted red herring from the United States, Canada and some of the highest-grade caviar from Hokkaido for its opening auction Tuesday of the New Year’s produce. It was a record sale for salted herring roe at the market located in Fukushima Ward. Herring roe, or kazunoko, meaning number (kazu) and child (ko), symbolizes a wish to be blessed with many children in the new year. The auction price was expected to be higher this year due to a drop in the Pacific herring haul compared with last year. 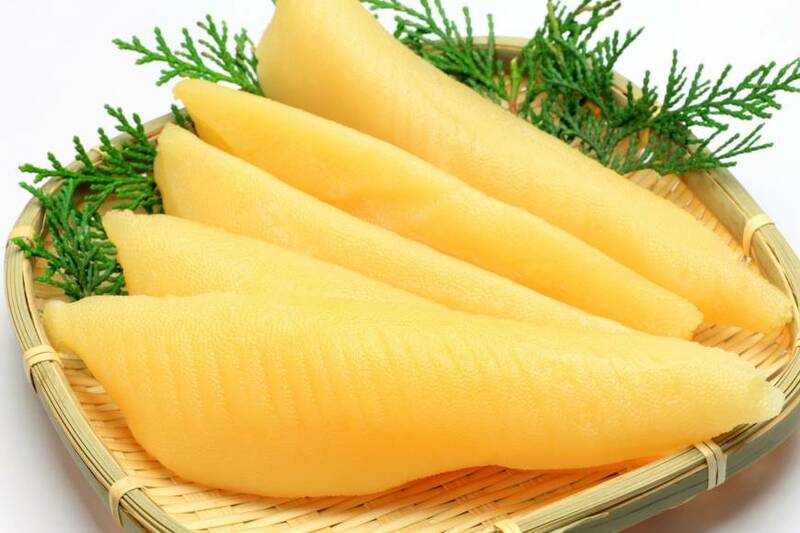 Teiji Mizobuchi, president of a marine products wholesale company, made the successful bid for the salted herring roe product called Shio-kazunoko Marehibiki. “I will sell this regardless of making a profit,” he said. A limit of five boxes of the osechi-ryori New Year’s dish specialty was shipped to the Hanshin Department Store in Kita Ward, Osaka. 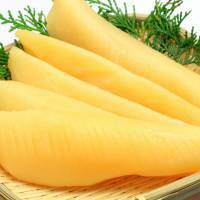 Regularly processed salted herring roe sold for ¥10,000 per kilogram, the same as last year. A large number of shipments of salted herring roe arrived from Canada, a favored source among Japanese customers. Demand for salted herring roe, sold at department stores and supermarkets around the nation, starts to rise as the end of the year approaches.